Revolution 21's Blog for the People: Is that kinda like whores who bellyache about prostitution? Is that kinda like whores who bellyache about prostitution? 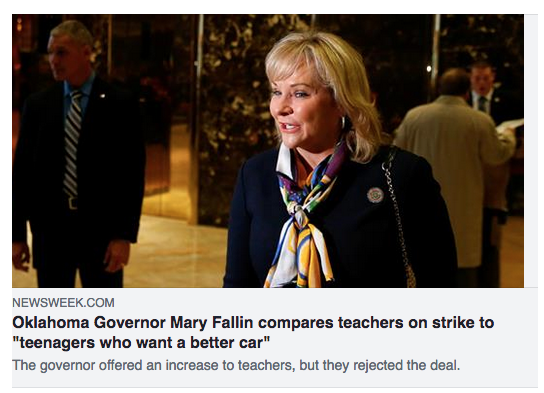 And Mary Fallin is the shyster who'll sell 'em a 1974 Chevy Vega with sawdust in the differential and a spiel about how all cars burn a quart of oil every week.